Renesas Electronics Corporation has launched two touch-free UI solutions to ease the design of 2D and 3D control-based applications. Based on the company’s capacitive sensor MCUs, the new solutions further the development of UI that enables users to run home appliances, as well as industrial and OA equipment without touching the devices. The UI solutions make it feasible for appliance and equipment companies to swiftly develop touch-free interfaces that improve the added-value of their products in terms of equipment convenience and design. There are a mixture of situations where touch-free operation is beneficial, such as when the users’ hands are wet, when the controls are not reachable, or when it is unsafe for the user to touch the controls. The company’s new touch-free UI, for instance in the kitchen, users may adjust flow rate and water temperature through hand gestures close to the faucets or alter stove fan operation by holding a hand over the hood. 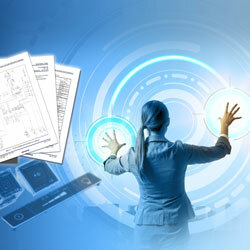 The UI solutions enable customers to simply implement these interfaces in their embedded equipment. The reference designs are offered for downloaded effective immediately.